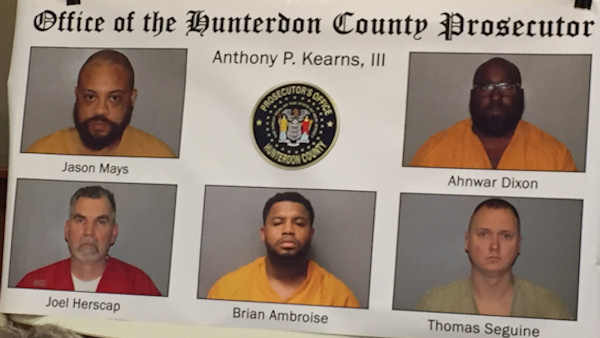 UNION TOWNSHIP, New Jersey (WABC) -- Guards at a women's prison in New Jersey have been charged with misconduct after they allegedly sexually abused inmates, the Hunterdon County Prosecutor's office announced Monday. Four guards were indicted on charges of sexual abuse and misconduct. Another guard is already serving a three-year term for abuse. Prosecutors say a total of eight inmates were victims. The guards worked at the Edna Mahan Correctional Facility for Women in Union Township.